The VFL is the only forensic laboratory in the State of Vermont and provides services to the entire criminal justice system. Police officers representing local and state agencies, in addition to game wardens, state's attorneys' investigators and public defenders, all bring evidence to the laboratory for examination. The laboratory is relatively small, but the VFL examiners conduct a wide range of forensic examinations. Some of the routine examinations conducted by the VFL are represented on this web site. The management and technical operations of the VFL have been assessed and found to conform with ISO/IEC 17025:2005, the ASCLD/LAB-International Supplemental Requirements for Testing Laboratories and all other requirements of the ASCLD/LAB-International program. The VFL was found to be competent and was accredited in the areas listed in their Scope of Accreditation. If you have any questions or would like to learn more about the VFL, please feel free to contact the laboratory. 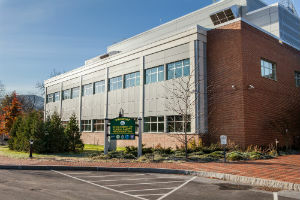 By submission of evidence to the Vermont Forensic Laboratory (VFL), the submitting agency acknowledges that the VFL retains the right to limit or expand the scope of analysis on all submissions and agrees to the receipt of a simplified report containing the information necessary for interpreting the results. Additional information about test methodologies and sampling plans, and disposition of evidence is maintained in the laboratory case record and available upon request. The Vermont Forensic Laboratory reserves the right to refuse evidence that is improperly packaged, inappropriate for examination and/or may cause an unacceptable hazard to laboratory staff.